Edited and translated by Bart D. Ehrman and Zlatko Plese. 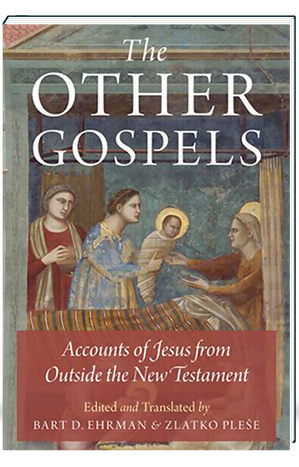 The first complete one-volume presentation of the Gospels from outside the New Testament in the English language. Fresh and readable translations of all the Gospels of early Christianity found in Greek, Latin, and Coptic. Includes clear and informative introductions for the general reader interested in what the accounts from outside the New Testament reveal about Jesus’ birth, teachings, deeds, death, and resurrection. Bart Ehrman–the New York Times bestselling author of Misquoting Jesus and a recognized authority on the early Christian Church–and Zlatko Plese–a foremost authority on Christian Gnosticism–here offer a valuable compilation of over 40 ancient gospel texts and textual fragments that do not appear in the New Testament. 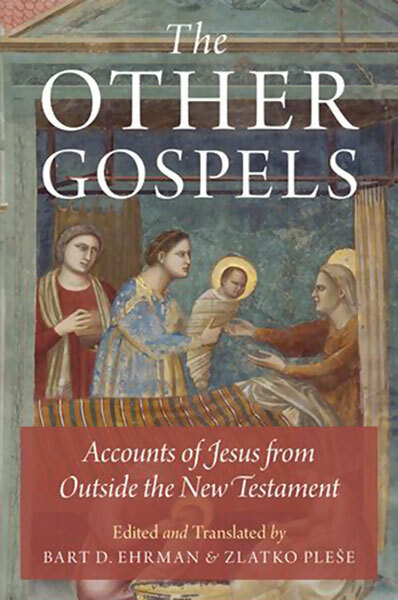 This comprehensive collection contains Gospels describing Jesus’s infancy, ministry, Passion, and resurrection, and includes the controversial manuscript discoveries of modern times, such as the Gospel of Thomas and the most recent Gospel to be discovered, the Gospel of Judas Iscariot. Each translation begins with a thoughtful examination of important historical, literary, and textual issues in order to place the Gospel in its proper context. This volume is an invaluable resource for anyone interested in early Christianity and the deeper meanings of these apocryphal Gospels.